Johannesburg - Having spent over a decade at Naturena, ‘Shabba’ is part of the woodwork at Chiefs, however, after bringing in the likes of Khama Billiat and Lebogang Manyama, it is thought that the club is looking to lighten their wage bill in order to balance the books. 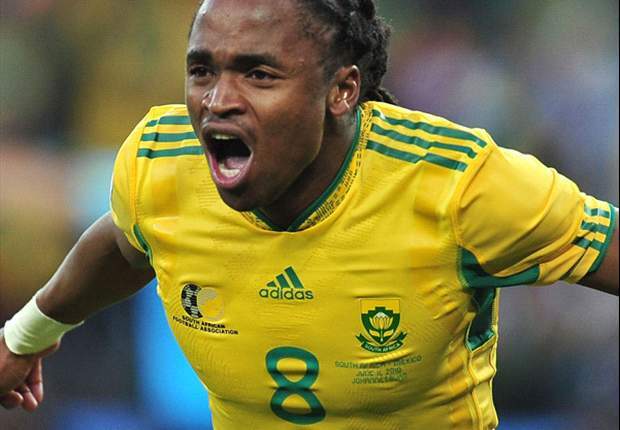 Sources close to Kaizer Chiefs’ dealings have suggested that the club and Erzurumspor have agreed on a transfer fee for Siphiwe Tshabalala, however, the terms are still being negotiated. The 33-year-old is thought to still be in the country at this point in time, and sources have indicated that talks between the clubs are ongoing regarding the actual terms of the possible transfer before anything can be finalised. All of the involved parties – Erzurumspor, Chiefs and Tshabalala himself – are thought to be open to the move at this point in time, and the plan is for the player to fly to Europe to see if a deal can be made possible. However, his agent Jazzman Mahlakgane admits that he knows nothing about the report. The left-footed midfielder is linked with a move to Turkish Super Lig side BB Erzurumspor and the two clubs have reportedly reached an agreement to seal the deal, according to FarPost.